I'm back today with even more items going up for auction for the blogging fundraiser for the American Childhood Cancer Organization. I'm also holding a giveaway for one copy of Oliver + S' new book, Building Block Dress! Giveaway will end Oct 31st at midnight, so make sure to enter for your chance to win and check out the Facebook group for the Auctions that start Tomorrow, Oct 27th! You can read more about this fundraiser and how it came to be over at Troops To Tots. 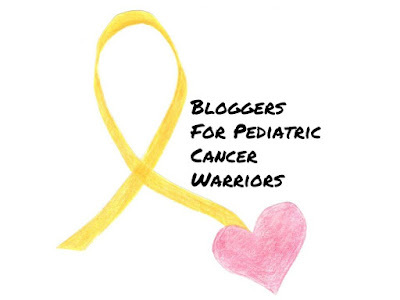 I really can't imagine having one of your children diagnosed with Cancer, but I do know what it's like to have a loved one diagnosed with Cancer. My Dad was diagnosed about 13 years ago and the outlook wasn't very good. My youngest sister was only about 8 and although only given 2 years at best, my dad's goal was to see my sister graduate highschool and get her to her 18th birthday. I'm very happy to say, although not cancer free, my dad is still with us today. 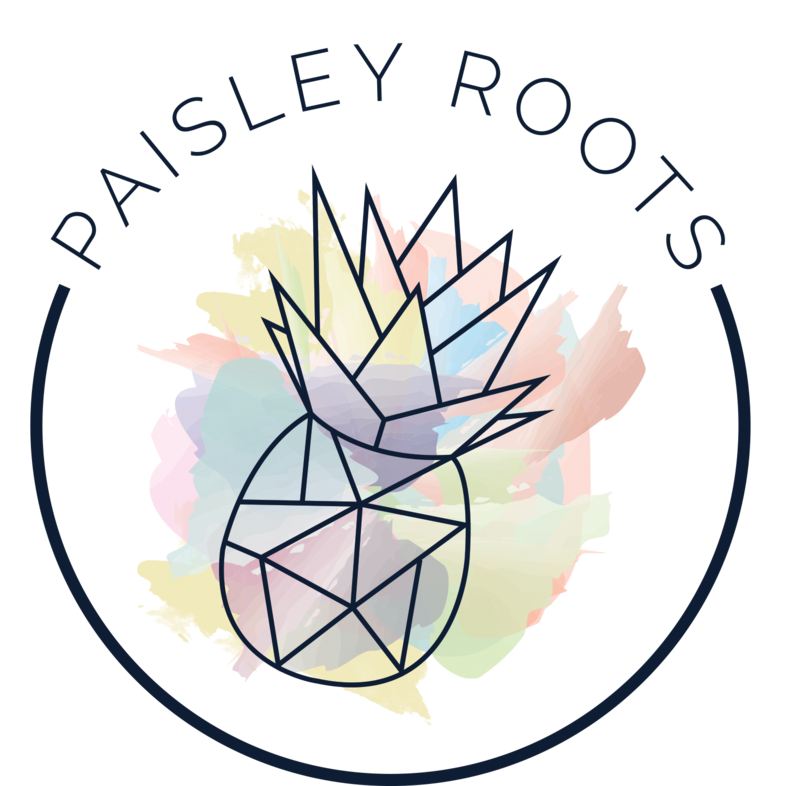 I am so excited to be part of such an amazing fundraiser and know that it's going to such a great cause. My two other items going up for auction are two more Desert Rose Dresses, both in size 2. 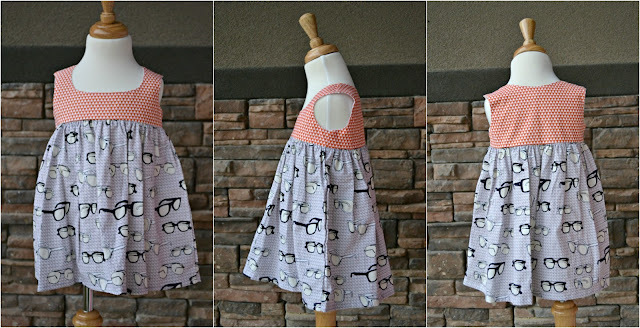 The first is made from Hipster Glasses from Riley Blake. This has been one of my most favorite combo's for the girls. The second one is another mermaid dress, again in size 2 and fabric from Riley Blake. And now onto our giveaway! Just to clarify, Oliver + S did not sponsor this giveaway. I am giving away a copy of the book myself. 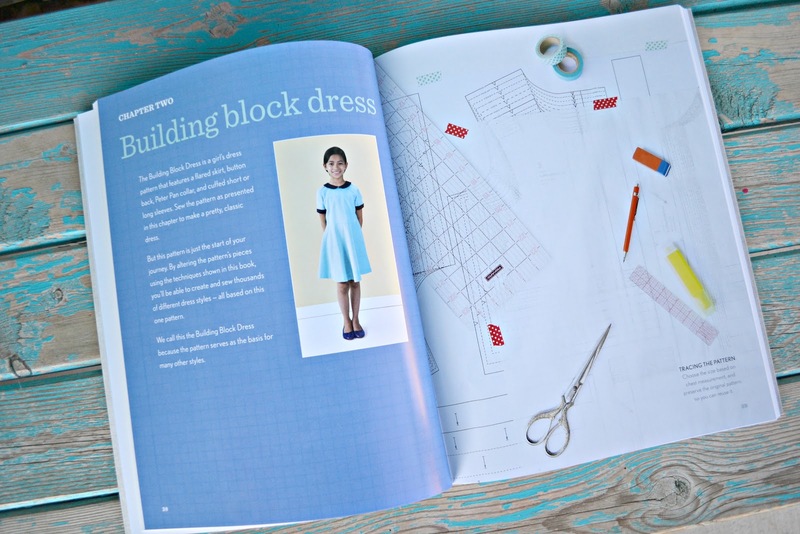 If you haven't seen the Building Block Dress by Oliver + S, check out their blog tour about it. They had 17 bloggers participate and have a really fun contest (details are up today!) for some great prizes too. So you are definitely going to want to get this book! 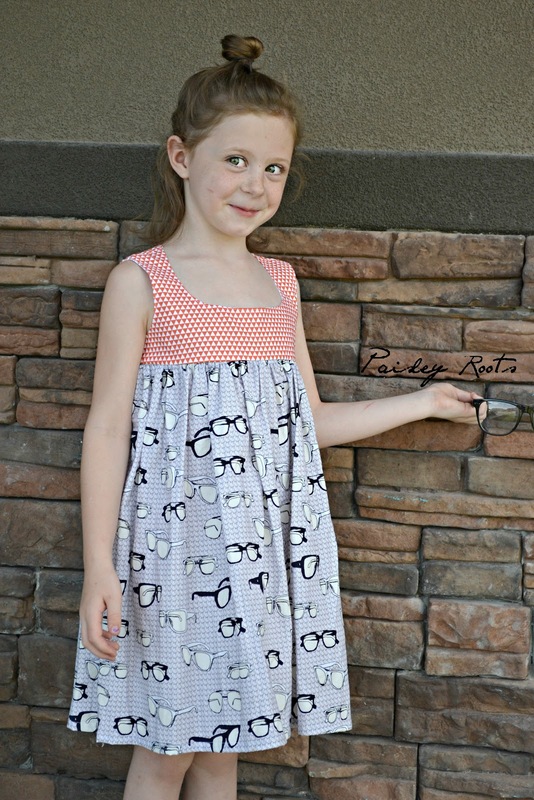 It's a really great alteration guide to get a ton of different styles just using one pattern, along with a basic base pattern in sizes 6-12m to 12 years. 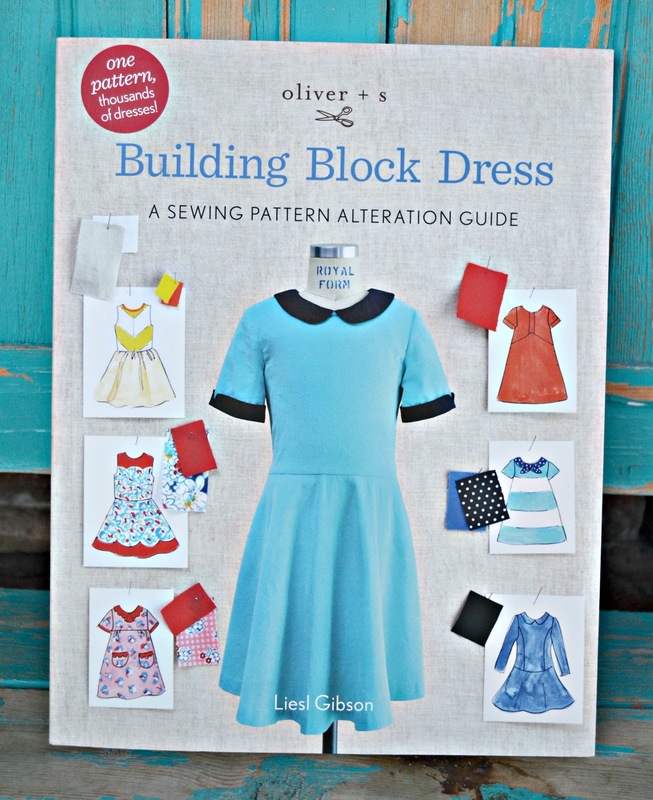 Definitely a must have for any seamstress collection! Make sure to enter the rafflecopter, and then check out the rest of the amazing bloggers and join the Facebook group to see what's going up for auction tomorrow! This book looks amazing. I'm definitely intrigued by this! Such an adorable dress! What a great cause! 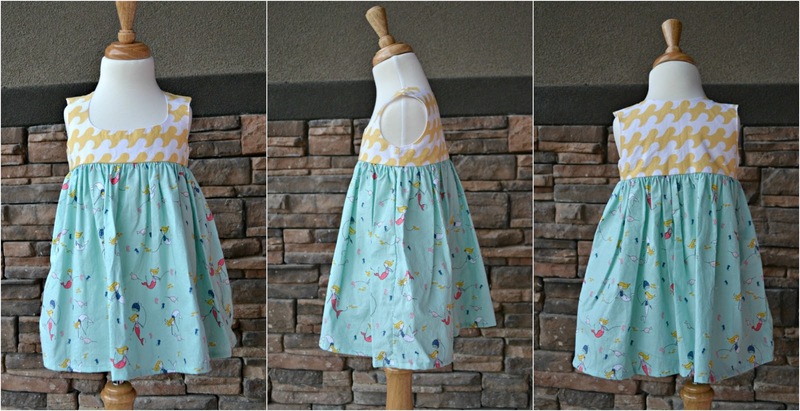 What a nice and adorable dress and also such a nice way to help American Childhood Cancer Organization. I would like to have that book.